Get more for your money at the Quality Inn and Suites SeaWorld North hotel in San Antonio, TX. Other nearby attractions include the University of Texas at San Antonio, Six Flags Fiesta Texas, San Antonio River Walk, Lackland Air Force Base and the South Texas Medical Center. Get more value with amenities like free breakfast, free WiFi, a seasonal outdoor pool and guest laundry facilities. 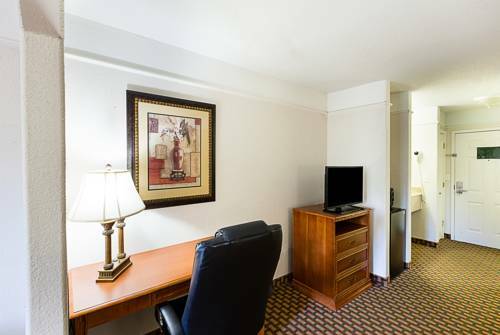 Guest rooms include refrigerators, microwaves, coffee makers, desks, hair dryers, irons and ironing boards. Upper-tier suites have even more amenities, such as a separate living space area. Also, earn rewards including free nights and gift cards with our Choice Privileges Rewards program.